I previously ordered two of these units and wrote a review. Both were badly damaged, but one was salvagable. The other I had to return, after it overheated and emitted a noxious odor. I decided to take a chance and order another unit this month (goal was to have total of two working units), hoping that whatever warehouse or shipping issues that resulted in previous damage had been resolved. They weren't. This unit also came with crushed top and wheels. Until the manufacturer comes up with a better way to ship these heavy beasts, not worth it. The Xpower 1500 is a good backup system as it has eveything you need in a convenient handtruck (the batteries are heavy). Unfortunately the 61 Amphr batteries don't last that long. 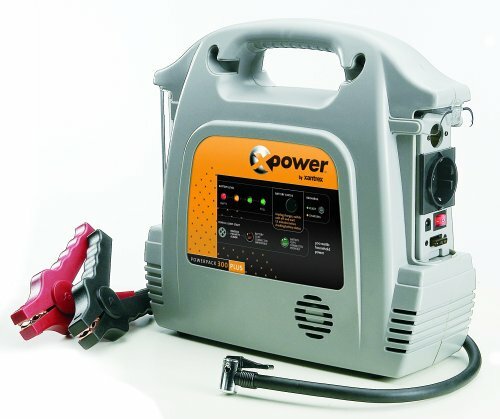 Adding a 100Ahr battery which you can easily be connected to the xPower make for a nice system which will get you thru a few days of blackout. 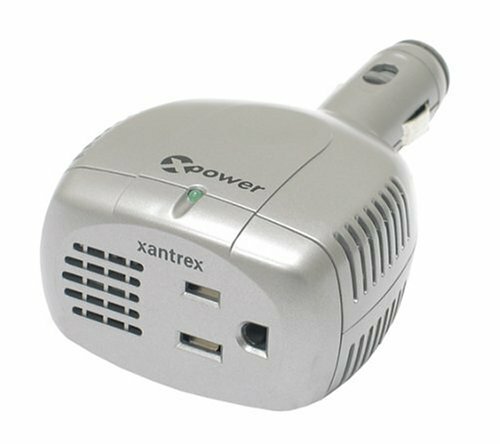 I HAVE TWO XPOWER 1500 UNITS . THEY WORK AS ADVERTISED, EACH UNIT WILL RUN A REFRIGERATOR FOR OVER TWO HOURS DURING A POWER OUTAGE. THEY WILL START A SKILLSAW WHEN FULLY CHARGED. THE ONLY PROBLEM I HAVE HAD, ONE OF THE CHARGERS WILL NOT CUT OFF AUTOMATICALLY WHEN THE BATTERY IS FULLY CHARGED. A QUALITY PRODUCT, BUT NEEDS TO HAVE MORE RESERVE (BATTERY AMPS) FOR LONGER SERVICE. GREAT IDEA. bought one for the boat, didn't run, wouldn't charge. Fluke? exchanged for a new one. Followed directions still no charge after 24hours plugged into household power. Not worth time or effort it would appear. Our ranch is outside of utility power service, and we rely upon a generator for our power. 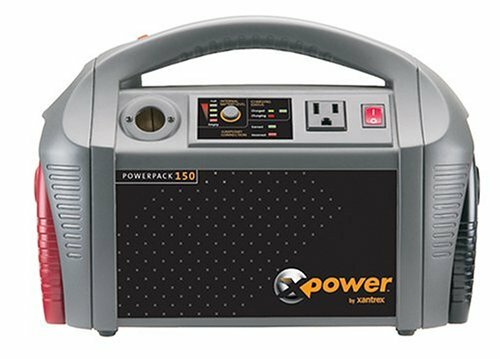 The Xantrex xPower 1500 was appealing to us for the purpose of running small electrical units, TV, VCR, lamp, computer, without having to start up and listen to a 10K generator. An added advantage is being able to take power where you need it on our acerage. 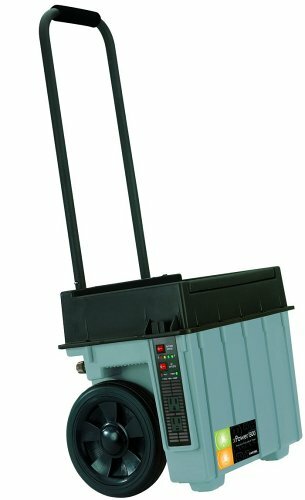 The portable dolly design allows the power unit to go where you want the power, for power tools, weedeaters, etc. The system works wonderfully for our purpose. Now we can enjoy a few quiet evening hours without having to forego light and entertainment. 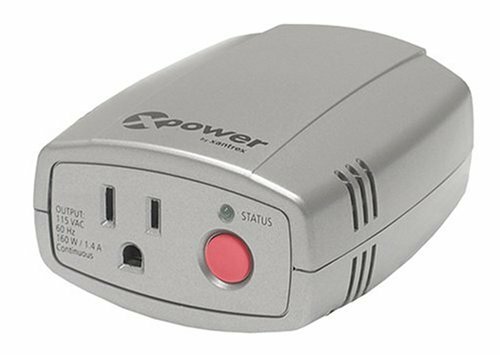 Plugged into a standard wall outlet, the x1500 battery easily charges up during the generator-run hours. We are very pleased. My wife always said she prefered staying at home and watching the games on TV to going to the stadium. Now she can have the best of both worlds! Seriously though; When I first got my season tickets I resolved to pick up a couple of items a year to enhance the tailgating experience. 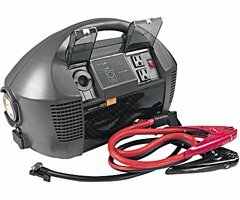 My wife got me the Fire and Ice grill for Christmas and I picked up the Xantex Power Inverter and then went shopping for an inexpensive TV at a yard sale. We used to bring a small set designed to keep kids occupied on long road trips and had to sit in the cab of my truck leaning together to watch. (OK for me and my wife, akward for me and my brother, downright unnerving for me and a friend of mine) Well, No more!! I can't wait to set up this baby with a 20" plus screen in the back. Here's hoping for more late games this year so I can enjoy freezing in a parking lot watching the early game with large quantities of grilled meat! 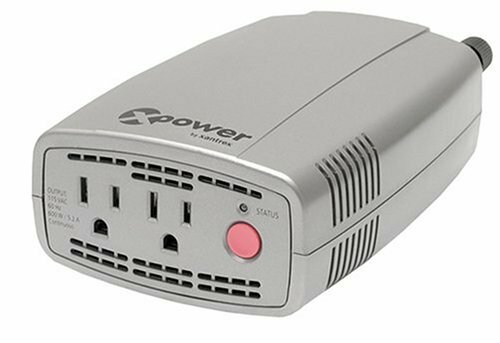 We bought this power inverter to power our daughters nebulizer and a t.v. and playstation for the kids on road trips. 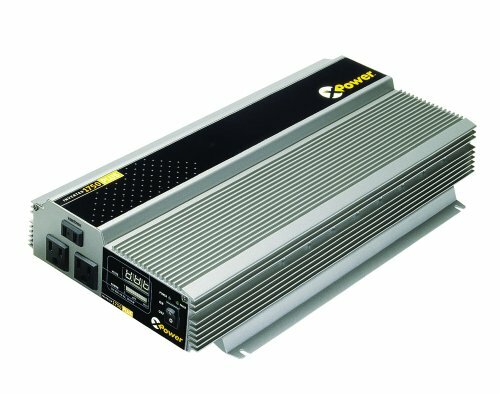 The only problem we had with it is when your using over 150 watts power you are supposed to hardwire it. That requires additional wiring. Other than that it is an excellent product at an excellent price!!! It couldn't be a better time. 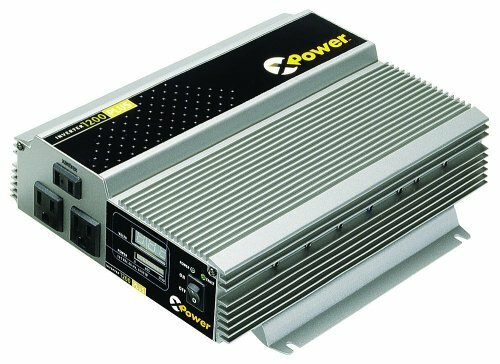 Yesterday noon I got the X-Power 400 delivered by UPS, and in few hours it was put to its ultimate test. Yes we were hit by the 08/14 Thursday North East Blackout. But with the help of the X-Power 400, I was able to hookup the 13"TV and Dish receiver. Enought to spend the restof the evening siting in the desk and watching the CNN news update and TV programs with family and friends. I love the cigrette adapter and the battery clips. I used the battery clips to get power from my car battery. 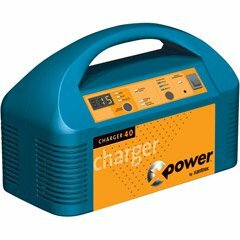 I recommend X-Power 400 for any regular household use. If you are planning to operate power tools, I suggest get the 700 or above. This 400 is smart, small in size packed with all the energy to keep your entertainment rolling without any interrruption. My original intention to use my Laptop on my roadtrips, but this proved to be much more useful than just powering the laptop. Loosing the power cord on the air compressor is worth the purchase price. If you ever had to fill tires on a trailer you know what I am talking about. 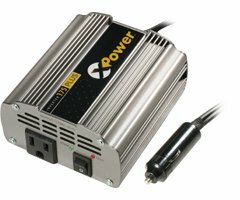 Invertor works well, but keep in mind 300Watts of battery power is a small bucket of power, don't try any inductive loads. I managed to burn out the invertor. Xantrax honored the warantee and replace the unit no questions asked. Refreshing change after dealing with Sony's warantee department! If your power goes out you can live, for a while, with no lights. The operation of a sump pump is a different matter. Last year I spent 5 hours bailing a sump pump hole with a plastic pitcher. Not enjoyable. I went everywhere looking for this type of unit and spent an hour on the internet. The Xantrex 852-1840 generator seems to be a great insurance policy. Overall, I am pleased with this product. However, I ran into the same issues addressed by Ron Campbell in his review. Although the manual states it takes about 40 hours to recharge using the AC adapter (plus an additional 15 hours if you don't see the green light after 40 hours), it took more like 72 hours before I got the green light indicating full charge. The owner's manual states that longer charge times are indicative of less than 120 volts at the wall outlet. I find it hard to believe that my three-year-old house does not have 120 volts at the outlets, but I guess that is possible. 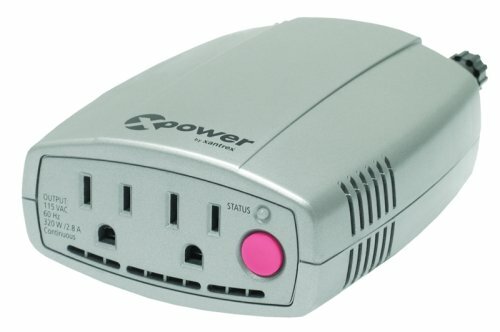 I bought this to use as an emergency jump-start unit and to add air to my tires after they are deflated for offroad travel. It seems to suit my needs. I would recommend this product, but be aware that the charge times may take twice as long as those stated by the manufacturer. I have found it to hold a charge very well. It is great to have a back-up when rv camping. It is also reassuring to know that when camping in remote areas that you have an emergency if your vehicle doesn't start. I consider this a good buy. Best invention since sliced bread! ...but takes all day to charge. Ran desk top PC great. Runs lights too. Will not power up my (AC) coffee maker! Make sure your cigarette lighter socket has enough clearance around it to accomodate this large of an adapter.You may need one with a cord with the plug on the end to fit in your vehicle. Make sure your intended use won't overload this adapter. 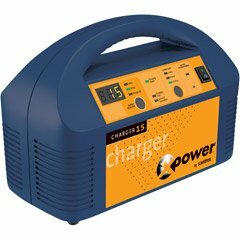 It's rated up to 75 watts continuous duty.